Prepare to be enchanted! 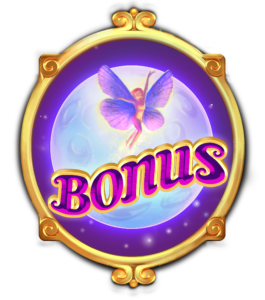 That is almost always the outcome whenever Quickspin has a new slot title to dazzle us with, but with their latest creation, Fairy Gate, the magic comes to life as real as humanly possible. A future classic in its own right, Fairy Gate is a gorgeously animated game of vibrant colors, lively features, seamless gameplay and streams upon streams of bonuses. It’s a five-reel, 20-payline game, so its structure is simple and familiar enough. The graphics are enchanting, as one would expect. We arrive into the setting of a lovingly drawn, misty forest with a beautiful tree dominating the right-hand side of the screen – a tree with a very special, illuminated, magical gate, reminiscent of epic tales such as Lord of the Rings – a gate that is the catalyst of many interesting events in the game. The bright daylight changes into a mystical, luminescent night once the free spin mode kicks off. The reels, grown with vines, are vivid and colorful – numbers and letters represent the lower symbols while different fairy faces serve as high value symbols. Besides those, wild, scatter, bonus and Fairy Gate icons all have their respective roles. The calm but lush soundtrack lends a particularly spacious and graceful dimension to the game. It’s all about the added features – among the most interesting and unique are the Fairy Orbs that appear from out of the tree’s gate and randomly deploy wild symbols across the reels (2 to 5, potentially), launching a player into a huge win. Three or more bonus symbols trigger the free spins feature, giving you ten free spins! During this feature, two more reels are unlocked and fairy orbs once again commence their flight and land randomly onto the reels. The new title will soon find its way to all land-based and online casinos powered by Quickspin’s software.